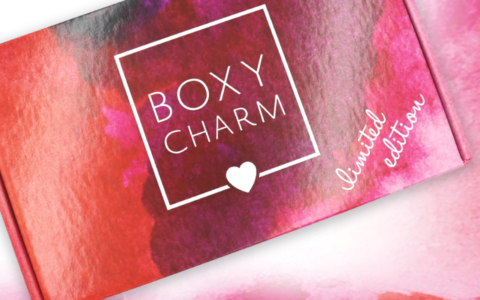 Birchbox Coupon – Free Limited Edition One for All Box with Subscription! While supplies last, use coupon code ONEFORALL to get the Limited Edition One For All Box when you sign up for an annual Birchbox subscription! Slough away dead skin cells with this sugar scrub. Battle odor and wetness with this charcoal-infused cream. A lightweight formula that keeps hair hydrated and protected. A shine-free balm with the added boost of sun protection. Packed with squalane, this cream restores your skin’s moisture balance. Protect your face and scalp from harmful rays with this all-natural SPF. Reduce puffiness and fine lines in just 20 relaxing minutes. A multipurpose spray that cleans, exfoliates, soothes, and hydrates skin. Instantly hydrate dry and tired skin with this sheet mask. An incredibly sleek insulator for cold and hot drinks. This notebook features daily inspirational quotes. Birchbox is $10 a month. Check out our reviews of Birchbox to learn more about this monthly beauty subscription box! Full details: Enter code ONEFORALL in Promo Code Field at checkout to redeem a free One For All LTE with the purchase of an annual men’s or women’s rebillable subscription. Your gift will be included with your first Birchbox shipment within 10 business days of your order date. Valid for new subscribers only; offer available while supplies last. One code per order. Love Birchbox and I highly recommend. All good things to say about this company. Promo code ONEFORALL not working for me. Wow, I’m actually impressed by this! Tempted, seriously tempted by this box. But I have to honestly remind myself that Birchbox really never sent me anything that I really loved and was seriously disappointing most of the time. And I subscribed for quite a while. Are they any better at customizing considering the survey we complete? Maybe I should just by the LE box…. Wow. This is an impressive “freebie”. If I weren’t already so overloaded with products I’d be jumping on this for sure. Funny, I thought, hmmm, maybe a free subscription for buying the LE box, but not the other way around.